She is co-founder of Property Investment Company (www.citiliving.co.in) which provides professional services for NRIs to invest in India and her company specialises in Corporate office setups and employee relocation services for MNCs. She is an author of the book – “Home Buying Guide for India” currently available for sale online in Amazon. In 2016, she was interviewed by NDTV London on Women entrepreneurship in UK. 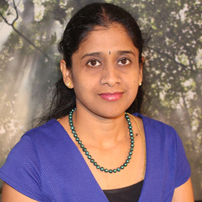 Vidhya is President of Purley speakers – Toastmasters International Club that helps people to improve their public speaking. She won area level Humorous speech contest in 2016.